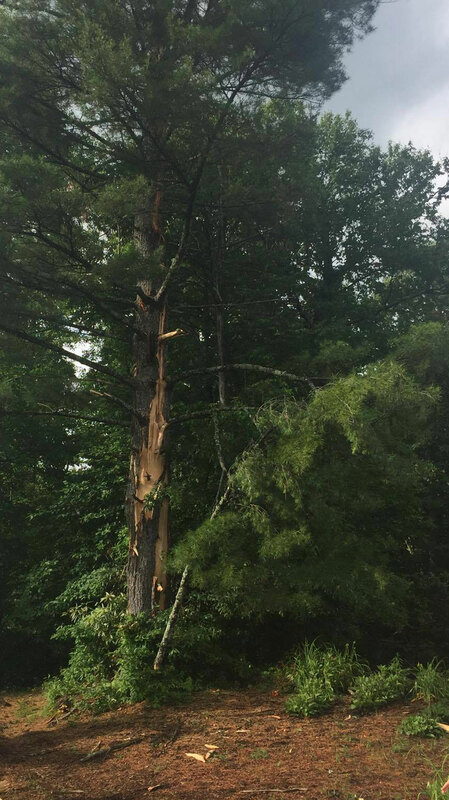 There were no reported injuries or structural damage after lightning struck a property in Deep Gap on Wednesday. The incident took place in the Ridgecrest neighborhood, as a storm on the eastern of the county was passing through during the afternoon. Jonathan Hodges, with Deep Gap Fire Department, tells WataugaOnline.com that only a tree was struck near a house, nobody was hurt and nothing was caught on fire. Hodges adds that the homeowner called 911 because of a concern of electrical wires near the tree that was struck. It's the first local lightning strike report by WataugaOnline.com in nearly four years. On July 18, 2013 two local families sustained damage after an early evening storm passed through. On July 17, 2013 a tree on the grounds of Holy Cross Episcopal Church in Valle Crucis was struck, sending pieces into the graveyard and parking lot.